Camphor lamp has a magical effect on mind, body and spirit when used in a place of living. It is a wonderful instrument to create positive energy. 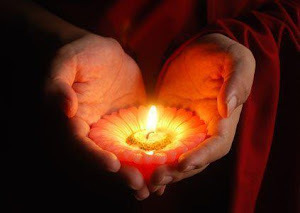 It is used not only for positive vibes but also to correct some situational problems of life as well. Originally Camphor Lamp was used in Ancient Egypt for warding off negativity and enhancement of positive energy at homes and hence it is also called Egyptian lamp. This lamp is also used as Vastu Diffuser because when lit in an area where there is any Vastu Dosa, it corrects it by creating positive energy. It also protects your house from negative energies. 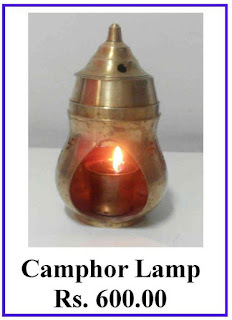 Camphor lamp can be used in homes, offices or any living area to create an atmosphere of positive energy. It removes all types of negative energies like tension, depression, Vaastu defects, black magic and bad planetary defects. Thus, it helps in improving one’s health in all four levels of life and that is physical, mental, emotional and spiritual levels. The fragrance of the camphor fills your home with peace and serenity and brings happiness in your life. Camphor lamp should be burnt daily for at least 4-5 hours a day. How to use – Remove the lid from the top and fill the upper vessel with water and put few pieces of camphor in it. Replace the lid. Just below the upper vessel put some oil in the container and with a wick on the spring placed inside it, burn the lamp. As the water of the vessel above the burning wick is heated up, the camphor gets evaporated and fills the room with fragrance. But, if the room is full of negativity, the fragrance of camphor will not be felt. And as and when the negativity of the room is gone, you will be able to smell the fragrance of the camphor. The black carbon below the upper vessel will indicate the amount of negativity you had in your house and you will be happy to see the reduced amount of carbon as you keep burning the Camphor lamp in your living area. As this Camphor lamp wards off the negativity and brings in the positive energies from the universe, it draws good fortune in your life. Therefore, this lamp is also called “Wonder Lamp”. The Wonder Lamp can be given away to friends and relatives as a Gift. This lamp has been tested and used for all purposes. Just use it to believe it. This is really wonderful. 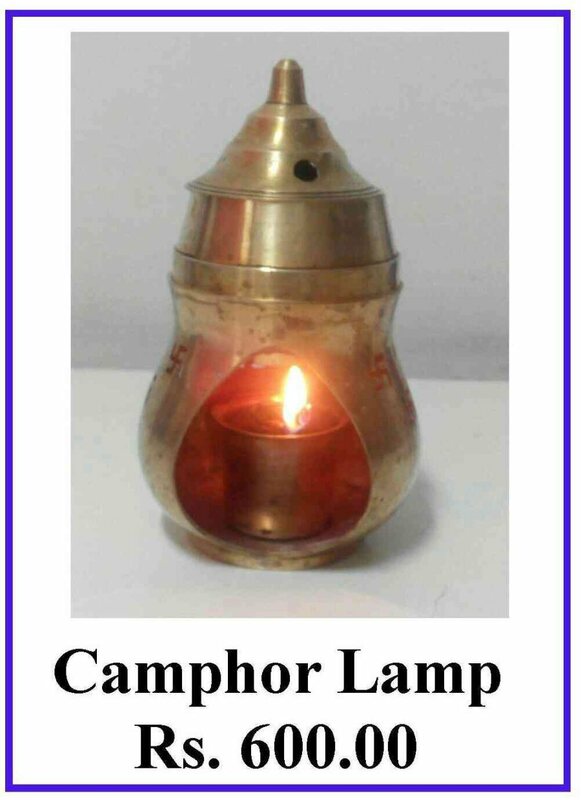 One camphor lamp free with the purchase of Four Unit of Camphor Lamps. So hurry. Bring positive energy in your home/ office. Increase positive vibes in your life. Contact us for purchase of any Reiki Products or Crystal Items.